Black mould and mildew are a particularly unpleasant problem that can occur in any type of property, big or small, old or new. Unlike other forms of damp that one way or another, enter a property, these are usually caused by the lifestyle of the o0ccupants, who are creating too much humidity. Not only can this cause considerable damage to your property and belongings, it can also badly affect people who already suffer from some health conditions, such as asthma. 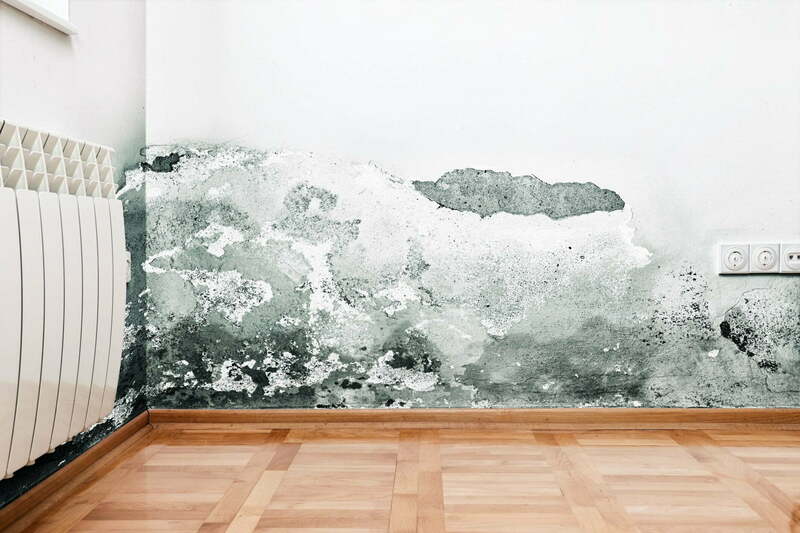 So, if you find you have mould issues within your property, how do you deal it? Why black spot fungus or mildew appears within your property. Black spot mould and mildew, require certain conditions to grow, high-humidity (moisture), oxygen and organic material. Oxygen is everywhere and all part of the house is organic material in some form. That just leaves moisture. Condensation is the main contributing factor to these problems – warm, moist air from other parts of the property, such as the kitchen and the bathroom, comes into contact with a cold surface, causing moisture to release and mould fungus to develop. There are different types of mould and mildew and we’ve all seen green moss on external walls and garden paths after the winter. But black spot mould grows on the internal surfaces of the property and can be much more of a problem, as it creates something called mycotoxins – naturally occurring chemicals that the mould produces. These are toxic and can cause a number of problems including respiratory and breathing problems, inflammation of the skin, irritation of the mucous membrane in the mouth and even feelings of tiredness or nausea. They are often worse for people with health conditions like asthma or other respiratory conditions. In fact, some experts say that mould spores are more dangerous for your health than smoking, so dealing with black mould as soon as you spot it is very important for your family’s health. While this might all seem a bit dire, the good news is that black mould fungus is relatively easy to remove, by vacuuming and fungicidal mould wash. What is important is that you know, not only do you have to remove the mould, but you also have to change the situation that caused it to grow in the first place. A damp expert will be able to assess what control measures are required to reduce the humidity and create a healthier environment. A simple thing to do is increase the ventilation and keep the whole of the property at a constantly warm temperature. If keeping your property ventilated during the day isn’t practical, then other methods such as installing thermostatically controlled extractors or a Condensation Control unit may be required. It is also advisable to replace your existing vents or install additional Passive Vapour Vents, which will egress moist air, without allowing cold draughts into the room. Most of these can be installed in a day and start working immediately, they are also very economical to run. To find out what is best for your property, instruct a specialist damp surveyor, to ensure the best results.